Protesters near the Cuadrilla drilling site have said the company is "running scared" after it announced it would suspend drilling. Plans for massive protests by anti-fracking campaigners have led a U.K.-based oil and gas exploration company to suspend its drilling in southern England. Cuadrilla has vowed to resume drilling once it is safe, as the company searches for ideal sites to conduct hydraulic fracturing, also known as fracking. 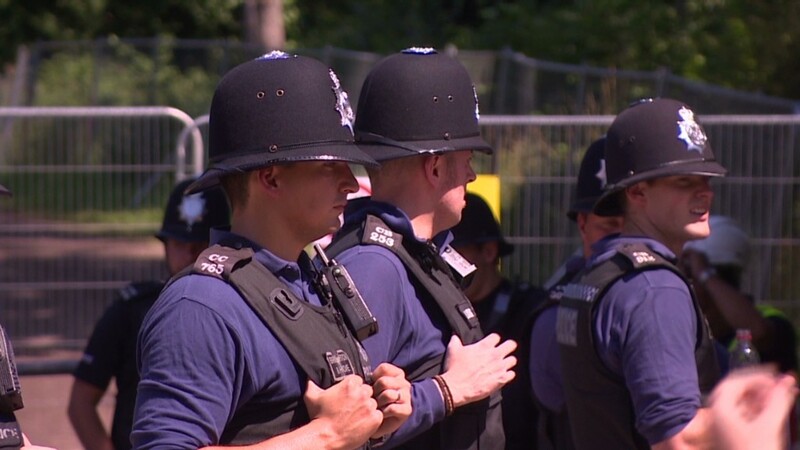 "After taking advice from Sussex Police, Cuadrilla is temporarily scaling back drilling operations ahead of the event," the company announced in an official statement. "During this time, our main concern is the safety of our staff, [local] residents and the protesters following threats of direct action against the exploration site." The latest developments illustrate the backlash oil and gas explorers face as they search for suitable fracking sites in a densely populated island nation. Fracking involves injecting water, sand and chemicals deep into the ground at high pressure to crack shale rock and allow oil or gas to flow. The process is currently being used in various locations across the United States and has led to an American shale gas boom. Fracking has been so successful in the U.S. that the International Energy Agency predicts that the nation will overtake Saudi Arabia to become the world's biggest oil producer before 2020. 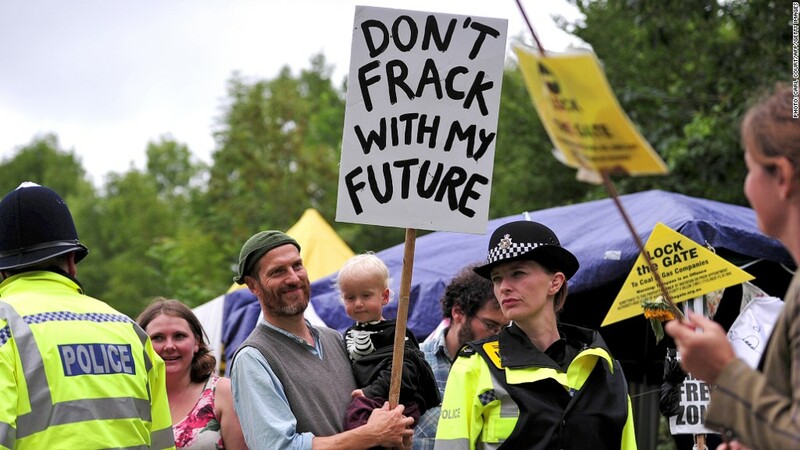 No companies have been approved to begin fracking in the U.K. at this point -- they're currently in the testing phase -- but the British government is hoping that will soon change. "Shale gas is a resource with huge potential to broaden the U.K.'s energy mix," Chancellor George Osborne said earlier this year. "We want to create the right conditions for industry to explore and unlock that potential." The government is currently considering cutting taxes on future fracking profits. Cuadrilla has been facing large protests from environmentalists and locals who argue that the company's activities have the potential to contaminate local water, create earth tremors and wreak havoc on the environment. The activists say that if Cuadrilla's tests are successful and the company begins production in the region, that would harm residents and local wildlife. The protesters have set up camp near the drilling site and will be staying in the area until Wednesday.